CHICAGO (WLS) -- Renderings released by the Chicago Park District are showing how Grant Park will transform during the NFL Draft. 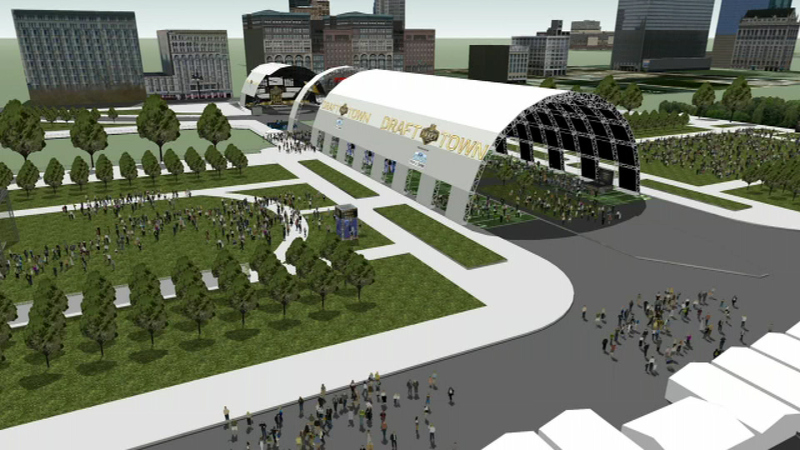 From April 30 to May 2, part of Grant Park will become "Draft Town." The NFL plans to install a strip where visitors can run a 40-yard dash alongside NFL stars displayed on a giant LED screen. There will also be a sky-diving simulator, a flag football tournament and other activities.